The daughter of UK & Irish immigrants Jackie Jarvis (nee Mullins) grew up in in the northern Perth suburb of Wanneroo, where she spent her teenage years working on the vegetable growing “market gardens” during her school holidays. After declaring to her family, the she would “never work in agriculture again” Jackie started her career in the finance industry where she met her husband Matt while they were both working in the South West. The couple relocated back to Perth, both got jobs on St George’s Tce, bought a house in the city with no plans to ever leave. Matt called her in 1996 saying he had been offered a work transfer to Margaret River and Jackie agreed she would go for 2 years. By 1998 the couple had sold their Perth home, had their first baby, planted a vineyard; and Jackie declared she would never return to Perth. 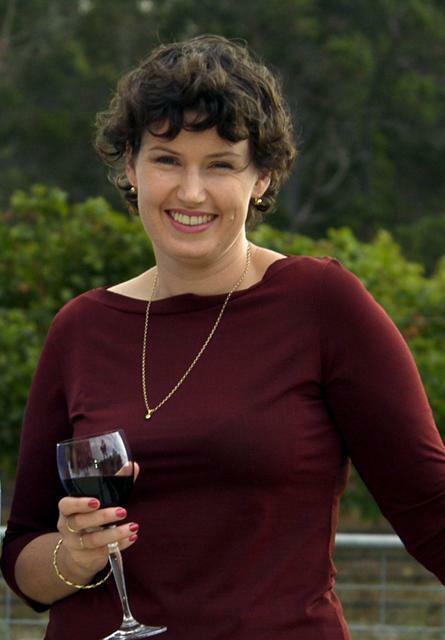 Whilst raising their 3 daughters Caitlin (born 1998) Madison (born 1999) and Ashlee (born 2004) Jackie managed the administration and sales for the new wine business and in 2004 she was named the Winner of the Best Home-Based Export Business by the International Business Council of WA. Jackie returned to off-farm work when Ashlee started school and built new career in as an expert in Workforce Development for the Agricultural sector. Her work in the area of attracting resettled refugees to work in agriculture saw her named as the 2014 WA Rural Woman of the Year and National Runner-Up. More recently Jackie has served as a Principal Policy Adviser to the on. Alannah MacTiernan MLC Minister for Regional Development; Agriculture & Food. In November 2017 she took up the role of CEO of the Rural, Regional, Remote Woman’s Network of WA Inc. A role that allows her to work from home on vineyard, albeit with regular long-distance trips. Jackie can often be found working in the Jarvis Estate Cellar Door on weekends and in her spare time drives her youngest daughter to a seemingly endless number of hockey games. She has a love of audio books, generally listened to while driving up and down the Forrest Highway. Jackie currently serves as a Commissioner on the Forest Products Commission and on the Board of the South West Development Commission.